It’s America’s birthday, and that means I can barely hear my autocracy-thirsting propaganda music through the beer-drunk booms of patriotic fire shows overhead. From what I can make out, this new “Make America Great Again” song, which Donald Trump retweeted today, is far too lame to brainwash me or anyone else. The Independent gave the song one star and raves, “Truly music to start nuclear wars to.” I’d add that hating this song made me feel a little more free, although listening to it in the first place did not, perhaps because it’s the kind of song that conjures a future where you may no longer be free not to listen to it. 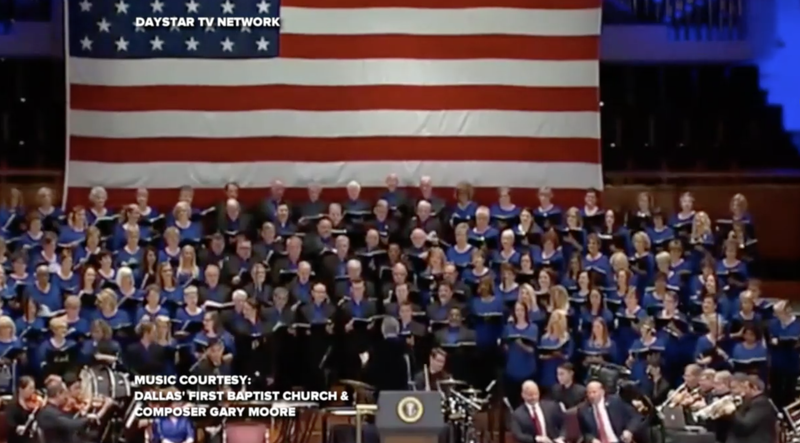 According to ABC News, Dallas’s First Baptist Church debuted the song—composed by the church’s former “minister of music,” Gary Moore—on Saturday night as part of its “Celebrate Freedom Rally.” Vox reports that the rally honored military veterans. Yes make America great again.